So today I've got something a bit different lined up for you - A how to infact! I'm going to start now by saying I'm definitely not a hair expert - I just wanted to look sort of pinterest worthy. 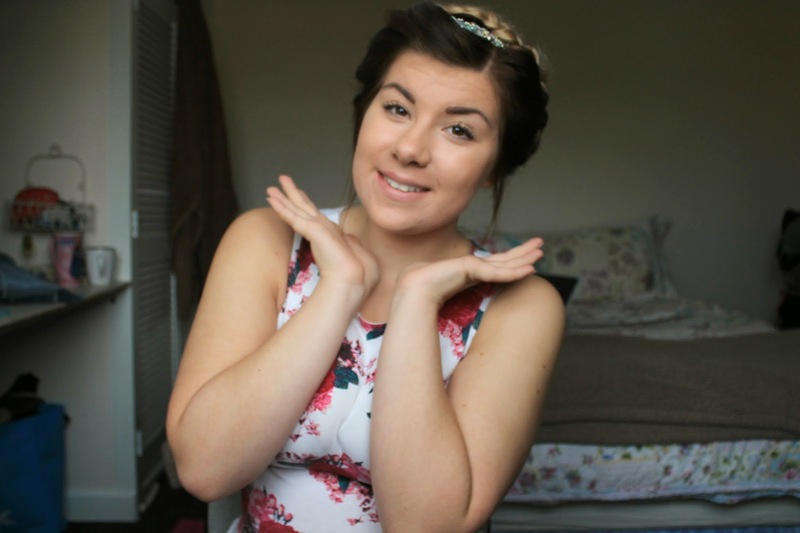 Milkmaid braids have been a huge hit within the world of fashion blogging recently. This german inspired look can make anybody feel super adorable and can easily be worned day to day. Unfortunately being a fringeless female I found I was left with a couple of awkward chunks of hair dangling limply in my face, so I decided to give it a little tweak and I'm ridiculously happy with the results! Firstly this style is better on dirty hair - I recommend 2/3 days old, otherwise the braids won't stay put properly! For the 'Twisted' part of the I actually took inspiration from a style that Lily Melrose (Llymlrs) did back in summer as part of her collaboration with John Freida. You check it out here. The general gist of it is that you take a large hair band (one of the ones that fits round your hair) and place it loosely on the crown of your head - as demonstrated in picture 3. I decided to use a patterned one from Primark to glam up the look a bit. Then you simply take fairly large sections of your hair (I reckon around 2 inches) and loop them over the top of the hairband. I continued this around my entire head to create a really pretty 1940's style bouffant at the front - this also dealt nicely with the front section of the hair. On many occasions I have left it at this - as it's a great way of stylishly keeping your hair out of your face whilst being able to show off the length of your locks. Following this I split my hair into 2 even sections and did two simple plaits down each side. Again, you could easily finish the style at this stage if you like, it's really girly and perfect for school. Moving on from this I gently tugged the braids out slightly to make them appear thicker. I then lifted one plait and wrapped it across the top of my head, just behind where the hairband is, tucking the unsightly end underneath the twisted section at the front to hide it . I fixed it in place with a couple of hair grips to make sure it doesn't slip off my head. I repeated this with the other side & Voila! 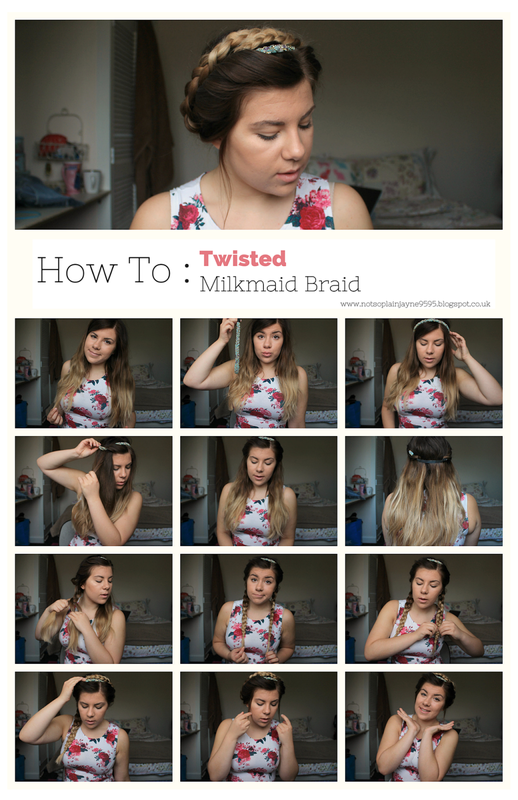 You've got yourself one fabulous Twisted Milkmaid braid. I then decided to pull out a couple of pieces of hair at the sides to frame my face, but that's totally up to personal preference. I feel that the added twisted section at the front really helps to give the whole look a very romantic Downton Abbey feel. I especially love the way it shows off my ombre. So what do you think? Will you be trying this modern twist on a classic style? If so send me a photo - I'd love to see your versions!